Illustrate the borders of Germany, the US, Britain, France and other countries in the dotted design to present specific country information. The borders of many countries have such a distinctive shape that their silhouettes alone are clearly visible. 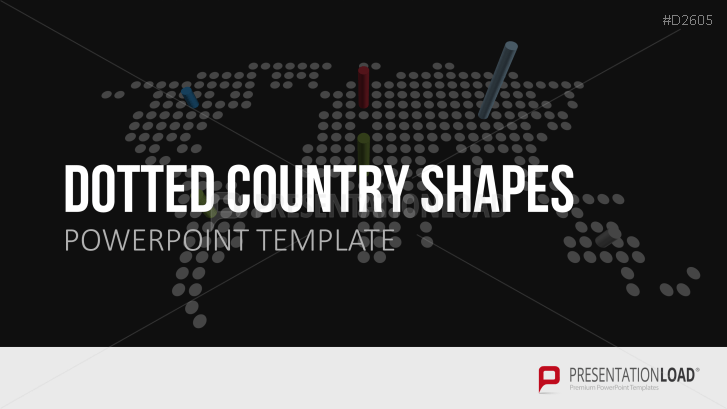 Our PowerPoint templates take advantage of that by presenting the silhouettes of these countries in the design of many small dots. The result is an abstract depiction of the actual borders that can be commented on arbitrarily. Give your audience the most important information about concepts and objectives of individual countries by using our PowerPoint templates. Each country has different silhouette variations to choose from: the dotted design, the design of many small hexagons or modeled after the colors of the national flag. Depending on your needs, country-specific information can also be added along with comments and highlights.